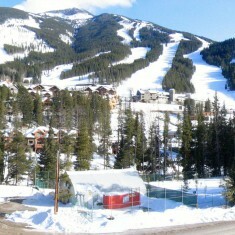 Panorama Resort | Panorama Resort | Ecosign Mountain Resort Planners Ltd. The new ownership at Panorama wish to increase summer business levels in Panorama Mountain Village Resort as there are not enough activities at Panorama Mountain Village to draw a significant number of visitors from the Columbia Valley during the summer months. Panorama already has several summer activities in the base area and on the ski slopes, including golf on the 18-hole championship Grey Wolf course, lift serviced sightseeing and hiking on the Mile 1 Express quadruple chairlift emanating from the Village, a children’s Fun Zone, ATV tours, downhill, cross-country and Bike Park mountain biking, Panorama Springs Water Park, trail rides, guided fishing, mini golf and tennis. 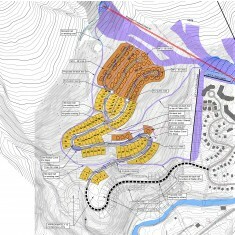 A proposed mountain adventure center for East Panorama aims to offer a number of additional summer activities to create a “critical mass” large enough to entice visitors to make the drive up to the resort from the Columbia Valley in the summer season. These activities must be broad and varied enough to attract the entire family and many different user groups. Ecosign has proposed several new activities to animate the base area around the Village and offer a wider selection of family activities at the resort. We have explored and discussed with Panorama three main attractions; an MCC Cart Track, a ZipRider zipline using the existing Cabriolet Gondola and an Alpine Coaster. 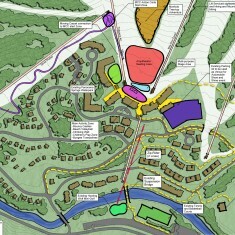 In the final plan, we omitted the Alpine Coaster as it requires too much capital outlay at this point in time.